player once you master what Roman teaches you and be able to convert Blockaded Pawn structures into wins!!! 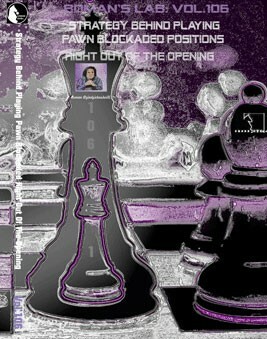 Volume 0106r - Strategy behind playing Pawn blackaded positions right out of the opening Strategy series Vol.1 (93 Minutes) This dvd will help your chess game whether you’re a novice level player or master, Roman will teach you how to play and win by blockading Pawns right out of the Opening. Blockaded Pawns occur in every openings and by following Roman’s easy universal system you will have a new way to win games. You will become a much better chess player once you master what Roman teaches you and be able to convert Blockaded Pawn structures into wins!! !